This blog isn't in much use anymore. I post my songs and videos here, but not much else. The reason is that for the past few months, I've been writing for the very cool new site Steam Shovelers, and that's a .cool domain so you can't argue that it is cool. With my writing needs being mostly met by my reviews there, and my preference to talk about other topics in video form, there may not be a lot to see here. However, before making my next video, I feel like I need to organize my thoughts a bit, and doing a blog post seems as good a way to do this as any other. So there you go. This section will begin spoiler-free, but after a certain clearly-marked point, spoilers begin. Tread carefully. I'm a bit late to the party with NieR: Automata, and that might be my biggest problem with it. When I was done with the game - yes, the proper way - all I could think was: is that it? Is this jumbled mess of science-fiction cliches and half-baked gameplay ideas really what people have been raving about? Is this going to be another one of those times where I feel like an absolute maniac for being left very cold by a game a lot of people say is one of the most important video games of all times? But more importantly, there are things to like about Automata that make me understand the love for it a bit more. Movement is clunky and combat gets repetitive, but I've seen worse, and while I can take or leave the main characters, the machines themselves are undeniably cute and likable. Yoko Taro built a beautiful, fascinating world. It's just that he chose to ask the most banal questions about it, and give the most predictable answers. Does this unit have a soul? Can you offer me proof of your existence? War, what is it good for? We've heard it all before, and NieR: Automata does nothing new to justify hearing it again. Even if you ignore the more explicit plot and focus on the subtext, just the last couple of years have seen a slew of games that made brilliant use of meta-plot and fourth-wall breaks, like Undertale, Pony Island and IMSCARED. Automata doesn't so much build on their insights as it makes poor copies of them, which I guess is at least thematically consistent with the poor copies its machines have made of human societies and customs. That's what brings us to the one theme that Automata gets absolutely right: empathy. Because, after all, as the game asks explicitly at one point: why would these machines try to copy humanity so much even though in-game history shows it to have been a failure? "If they wanted help, why would they be attacking us?" And so, they fuse together to give birth to Adam - a machine's idea of what a human looks like, based on the closest living example they've ever witnessed, namely, the Androids. And only then does he attack. And then Eve climbs out of his chest, because Bible reference, get it? Adam eventually becomes hate incarnate, believing that the essence of humanity is conflict. But this isn't a perspective that's hard-wired into him. It's a result of the fact that the sum total of his experience with anything approaching a human is getting cut, shot and stabbed by 2B and 9S, and his resulting beliefs are later affirmed by a biased reading of human history. The machines didn't make Adam to be a weapon - they made him because they thought that if the Androids saw someone more like them, they would be less inclined to attack. 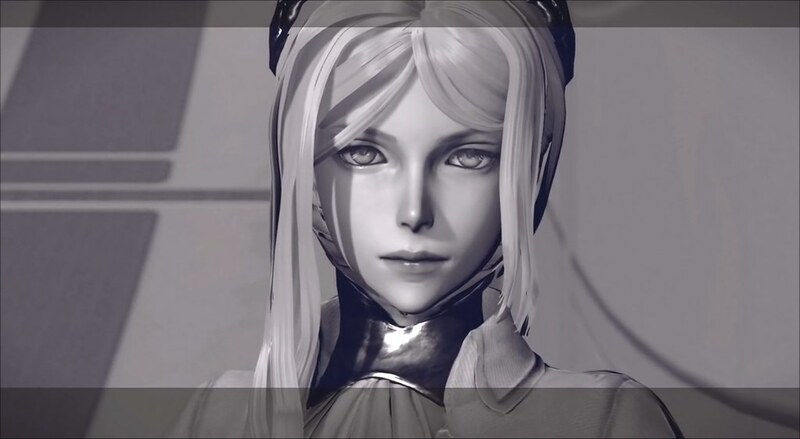 It's the next logical step after the orchestrated charade of family life that we witness when the protagonists first step down into the sand pit where Adam is eventually created: the machines already know that YoRHa is coming and will not yield, and in their despair, hope that if they're easier for the Androids to identify with, they might be spared. But that never happens. Years of indoctrination have made 2B and 9S completely incapable of empathizing with the machines, an intentional ironic contradiction to YoRHa's glorification of humanity. The whole scenario is a brilliant commentary on the role empathy plays in our lives and how it is upended by prejudice and incitement. It's also a perfect illustration of just how badly NieR: Automata's story fails as a video game plot. You see, as 2B and 9S were massacring the desert machines, I could tell the game wanted me to feel the Androids' inner conflict between their sense of duty and the undeniable fact that these machines were saying and doing things that are uncharacteristic for unthinking murder bots. But all I could think was: why am I playing this game? I don't want to murder these machines that are begging for their lives. I wouldn't do it in real life, no matter how badly I was incited against someone, and I know this because I was faced with similar choices in the past. NieR: Automata told me all about why YoRHa wanted these machines dead, but at no point did it explain why I should want to aid them. There's a very important difference between character motivation in a movie or TV series and that of a character in a game: in both cases, there may be instances where someone has to play a character with whose motivation they don't identify. Actors who play villains generally don't want to nuke New York City or decapitate Gwyneth Paltrow - we hope - but they understand that their portrayal is vital to make the movie work. J. K. Simmons probably wouldn't be too thrilled about his role as Schillinger if the point of Oz was that being a Neo-Nazi is great. It's for the benefit of the story, and that's all the motivation an actor needs. Also, I hear the money's pretty good. In video games, players play a role, but they do so for their own benefit. Unless you're a YouTuber - in which case you should be ashamed of yourself anyway - chances are you're not playing a game thinking "wow, this would be really great for someone else to watch". You're doing it for your own benefit. That doesn't mean, as some people claim, that games have to always be fun or entertaining. I'd be hard pressed to say I found 1979 Revolution: Black Friday or Detention fun, as much as I loved them. Nor is it necessary for a game to have a protagonist you could identify with: Yakuza 0, my favorite game this year so far, has you play as a couple of thugs who, personable as they might be at times, would do anything for money and power. But, to paraphrase Jim Sterling, you can't sell something on the lack of content. If a game isn't entertaining, and if you don't identify with its protagonist, there has to be some other reason for you to want to play, to enable the main characters' behavior. 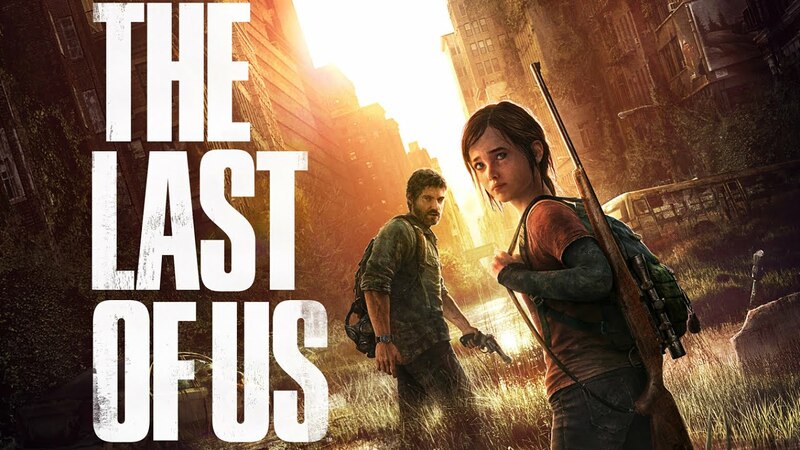 Let's take a look at another critically-acclaimed game, to the point of utter hyperbole: The Last of Us. To keep spoilers at a minimum, the last part of the game faces you with an unambiguous fact: in order to cure humanity from the Cordyceps infection, a certain character, let's call them Character A, must be sacrificed. Character A agrees to sacrifice their life, and while this is a painful sacrifice, everyone understands it must be made - everyone except the character you play at that point, let's call them Character B. Unwilling to accept this sacrifice, Character B goes on a rampage, slaughtering many people who only have humanity's best interest in mind to save Character A. It's a great character moment, but it's handled extremely poorly as game plot. No matter how closely you identify with either character, and no matter how many of us would do the same in that situation, there's no way you could justify these actions - and if you can, you should probably check yourself. What possible motivation could a player have to go through with this maniacal, selfish, murderous plan except to get to see the ending credits? NieR: Automata has the benefit of being a much better game than The Last of Us, inferior voice-acting notwithstanding. But when it comes right down to it, it fails in the same way. I expect to have a video covering these points, and maybe a few others, in the next few weeks. Chapter Select notwithstanding, getting all the footage I need this time might take a while. But I think it's a really important and under-explored aspect of the way we tell stories in games. 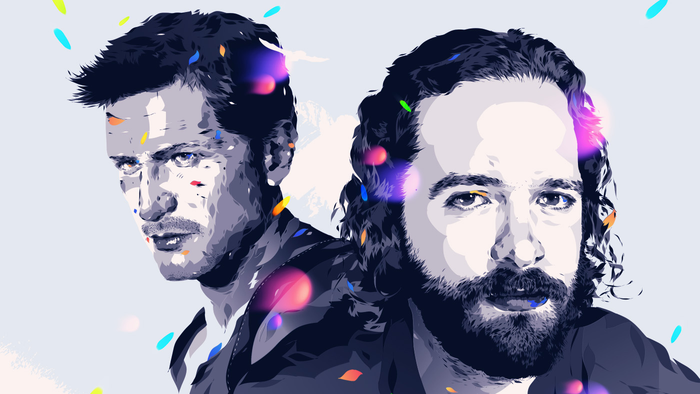 I really liked Uncharted 4, probably for the same reasons that longtime fans of the series apparently did not. It focuses less on wanton murder and more on making likable characters, establishing the relationships between them, and basing climbing sections less on trial-and-error nonsense and more on getting a feel for how the game's environment functions. "...we don't buy into it. I've been trying to dissect it. Why is it that Uncharted triggers this argument, when Indiana Jones doesn't? Is it the number? It can't be just the number, because Indiana Jones kills more people than a normal person does. A normal person kills zero people. And Indiana Jones kills a dozen, at least, over the course of several movies. What about Star Wars? Han Solo and Luke Skywalker, are they some sort of serial killers? They laugh off having killed some stormtroopers. And in The Force Awakens, we see that a stormtrooper can actually repent for the person he is and come around, and there are actually real people under those helmets." The only examples Druckmann can think of to justify Nathan Drake killing dozens of people to get some treasure are movies where protagonists kill either actual Nazis are very transparent metaphors for them. Nathan Drake isn't killing fascist soldiers to save humanity from fascism; he's killing mercenaries and guards to dig up treasure, a task at which he constantly seems to fail. Again, this is a case where the character has a much clearer motivation than the people playing the game. It's very indicative of this problem in game writing that the really difficult questions about violence, as well as block-pushing puzzles, came from a publication that traditionally doesn't focus too much attention on video games.